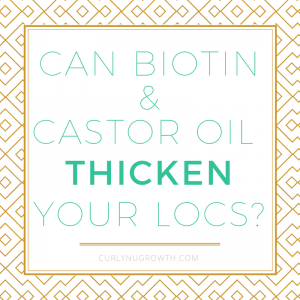 I’ve read countless testimonials that swear by the magical healing properties of biotin vitamins and castor oil for regrowing and thickening your hair— but does it actually work? Personally, after attempting to use these “miracle” concoctions on my own with unsatisfactory results, I decided to do a little more research and the findings were very convincing. My journey with thinning hair begins shortly after I became a mother— about two years into my loc journey. First, I started noticing my curly hairs scattered across my bathroom sink. 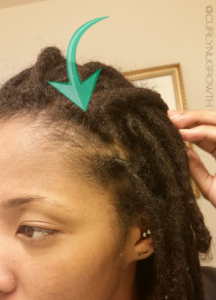 Then, I noticed that my scalp was more tender than normal as I would try to pull my locs into a style. Finally, I accepted that I was experiencing postpartum hair loss. Naturally, because everyone said Jamaican black castor oil would give my edges back I quickly reached for a bottle and slathered my thinning hair line. Unfortunately, using the Jamaican black castor oil on my fine hair did nothing but weigh it down and suffocate my hair follicles. 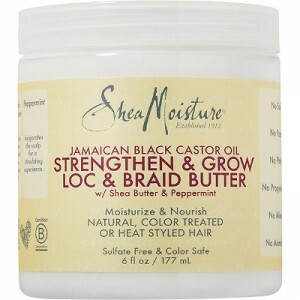 For me, Jamaican black castor oil did not help to thicken or regrow my locs, and I eventually learned why. 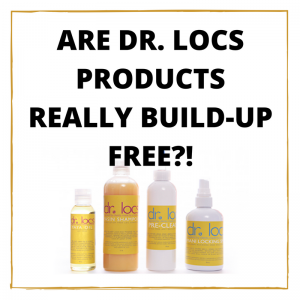 I stumbled upon this really informative article by Sister Scientist, an African-American Cosmetic Scientist, that explains the science behind biotin vitamins, castor oil, and thinning hair. What I learned from reading the article is how clogged hair follicles can be restored from the use of oils and herbs with anti-inflammatory properties. Also, I discovered in a workshop on “Vitamin Deficiencies & Hair Loss” that it is really hard to have a biotin deficiency, and too much biotin can have a really negative reaction on your body. 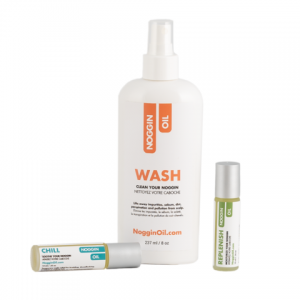 With evidence from two well-respected professionals in the hair care industry about how using biotin and castor oil to thicken your hair are unnecessary, I opted for a more holistic routine to regrow my hair— patience and scalp massages (with a lighter oil). Ultimately, my hair did grow back and I did not have to deal with the unwanted side effects of biotin or clogged pores from Jamaican black castor oil! 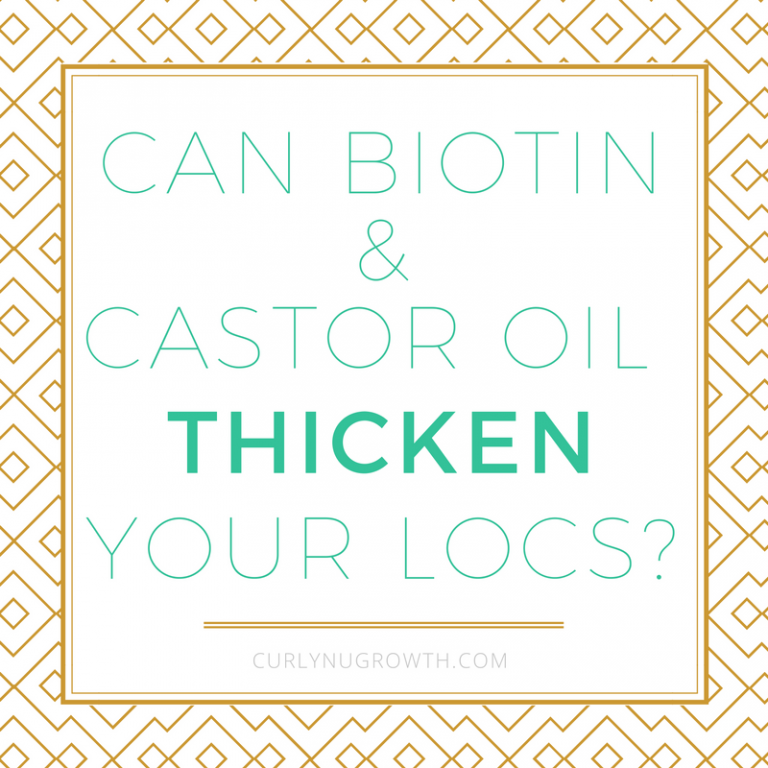 Have you tried using biotin or castor oil to thicken your hair? Did it work? I’d love to read your experience in the comments! I recently attended the No Lye natural hair tour in Charlotte, NC with Sister Scientist. I too asked the same question.